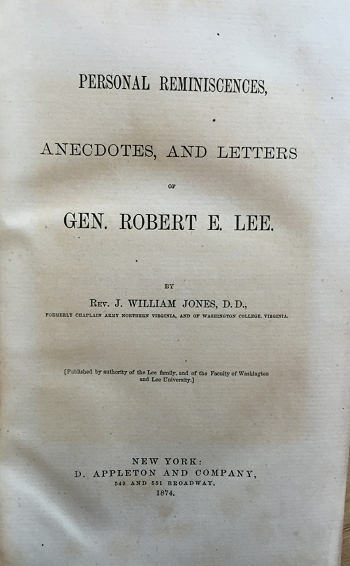 First edition, published by the authority of the Lee family and of the Faculty of Washington and Lee University. New York, Appleton and Company, 1874' 3/4 leather, spine in excellent condition, 509 pages, toned paper but otherwise fine. Engravings of Lee, Mrs. Lee, Jackson and several wood engravings of various scenes.